Our network & systems administrator (IT Guy) is available to help you with your electronic device from 6:00p-8:00p every Thursday. He will teach you how to use your new device, recommend devices based on your needs, remove viruses, fix error messages, configure email, recommend apps, and otherwise help you with anything involving technology. 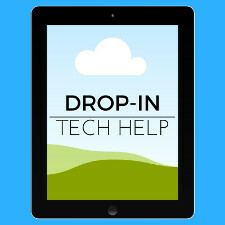 No sign up is necessary for this weekly program, but you may call Eric at 248-287-8019 if you need to discuss something before you come to the drop-in tech help.